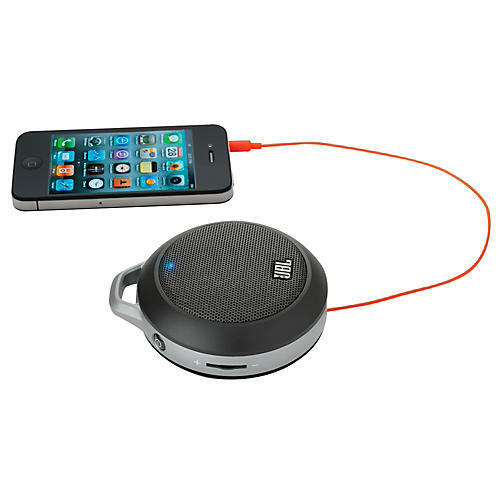 The JBL Micro II is the first ultra-portable speaker featuring a Li-ion rechargeable battery and a built-in bass port. With a 1-5/8-inch (40-millimeter), this speaker delivers full-range JBL sound with exceptional bass - even though it's small enough to fit easily in backpacks or clip onto clothes. It connects to any mobile device or MP3 player with a built-in audio cable, and you can even daisy-chain it with other JBL Micro II speakers for a powerful sonic experience.